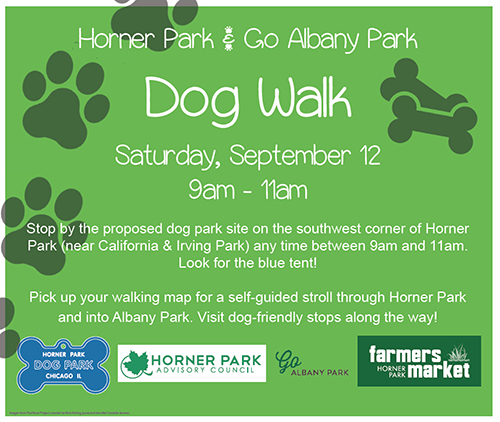 Join us for the Horner Park and Go Albany Park Dog Walk on Saturday, September 12. 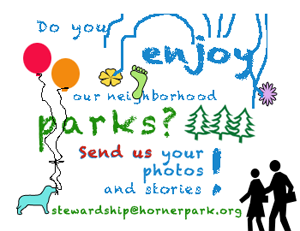 Look for the blue tent at the southwest corner of Horner Park (near California and Irving Park – the proposed dog park site) any time between 9am and 11am. Then, pick up your walking map and go on a self-guided stroll through Horner Park and into Albany Park, visiting dog-friendly stops along the way!